Many publishers, societies and institutions are in the process of exploring ways to incorporate video into their websites and publishing platforms, whether as new product lines, for teaching, or to offer more value to existing products and services. 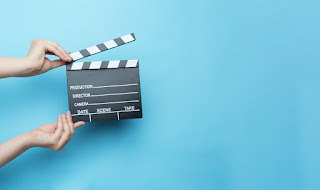 Some may be unsure about how to go about developing a video strategy whilst others have a clear idea of what they need and are in the process of implementing video content. This is an area which Simon Inger Consulting are increasingly asked about and thought it would be useful to survey the current state and thinking about streaming video. With the support of GVPi (a digital publishing solutions company) they would like to find out from publishers, scholarly societies, professional associations and higher education institutions where they are in their video development plans, what they see as the main challenges and barriers to delivering video content online, and what opportunities they think streaming video offers. They would like to invite you to take a very short survey (less than 5 minutes). The results of the research will be shared with the community. ALPSP is often asked whether we can provide information on salary benchmarking and employment trends. Governments often provide earnings data, and taking the UK as an example, the National Office of Statistics (NOS) conducts an Annual Survey of Hours and Earnings (ASHE) of all industries, based on details gleaned from HMRC and also other national trends. But for the detail on salaries in publishing, including average salary by job title, we rely on careers consultancy bookcareers.com who run a periodic salary survey (currently every 3/4 years) to give us detailed information not only on pay and remuneration but also on employment demographics. For instance, the statistics from the bookcareers.com Salary Survey 2013 indicate that the education level of respondents is higher than at any time, with 94.6% having a graduate degree or Masters, and 2% having a PHD, compared to their 2004 survey where 86.4% had a graduate degree or Masters, and none of the respondents had a PHD. Back in the 2013 survey, the overall average salary of all respondents was £28,661 yet for academic sector, the average salary was £27,559 and for Business and Professional Publishing, £29,294. Salary reviews varied with 25% getting between 1% and 3% in their most recent review. Bonuses were also increasing and becoming far more common than at any other time. This is a fraction of the data extracted from a full report of over 80 pages. The survey closes at midnight on 28th July 2017 with early results available in September. A full report will be available later in the year from online@bookcareers.com.